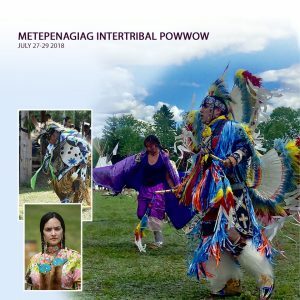 The METEPENAGIAG INTERTRIBAL POWWOW will be held from July 27-29. 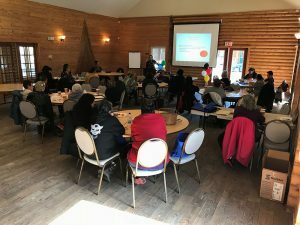 “Kepmite’lsultinej” (Let us honor ourselves) Host Drum – Thunder House Singers, Arizona Co-Host Drum – Spirit Bear – Listuguj, PQ Invited Drums: Birch Creek – Elsipogtog, NB East Boyz – Eskasoni, NB Hey Cuzzins – Lennox Island, PEI Sacred Wolf – Metepenagiag, NB Thunder Eagle – Metepenagiag, NB Emcee – Possesom Paul Head Female Dancer – Kyanna Kingbird Head Male Dancer – Logan Lewis Grand Entry Saturday and Sunday at 1:00PM Friday Night Social – Karaoke Fun and Hand Drum Saturday Night Entertainment – Iron Man/Woman Dance Off Competition After Supper Live Music Entertainment – 8:30PM Sunday – Give Away Ceremony – 4:30PM No Alcohol or Drugs Allowed Not responsible for any lost items during this event. Please keep pets on leash. Keep our grounds clean, use garbage cans that are on site. 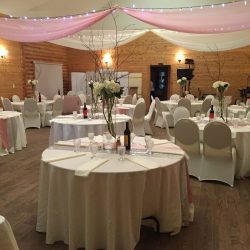 The lodge is the ideal secluded romantic location to hold your wedding. 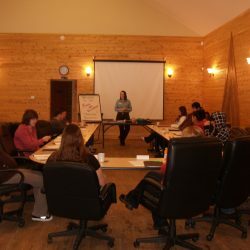 The lodge’s hall is nestled in the trees situated on the high banks of the Little Southwest Miramichi River. The beauty of Mother Nature’s natural setting surrounds the log cabin style hall. The Hall can accommodates up to 100 people, but fits comfortably 80 which allows space for a small band or DJ. The Hall is available year round. A traditional game called Waltes is being taught to the Metepenagiag Heritage Park Staff. The staff had a great time learning and playing this ancient game. 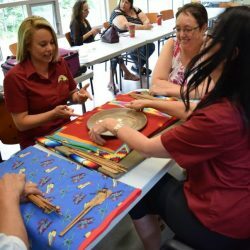 Women’s Retreat – Empowering Women in Silence Cultural teachings, healing sessions, craft workshops, fun activities and more. Open to all women. The Tourism Association of New Brunswick held a two day conference on responsible food and beverage server training through Emerit. There was a great turnout.